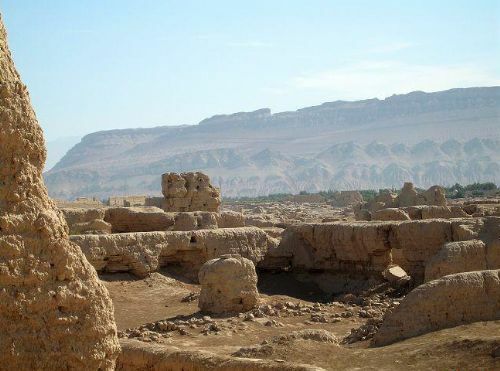 Gaochang is the site of an ancient oasis city built on the northern rim of the inhospitable Taklamakan Desert in Xinjiang. A busy trading center, it was a stopping point for merchant traders traveling on the Silk Road. 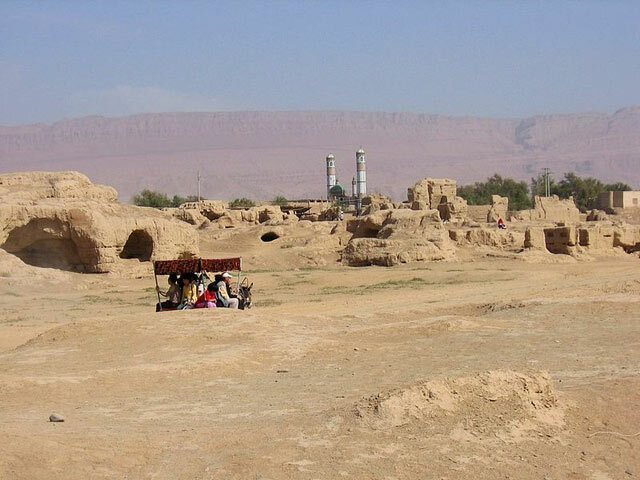 The ruins are located 30 km (18.6 miles) southeast of modern Turpan. 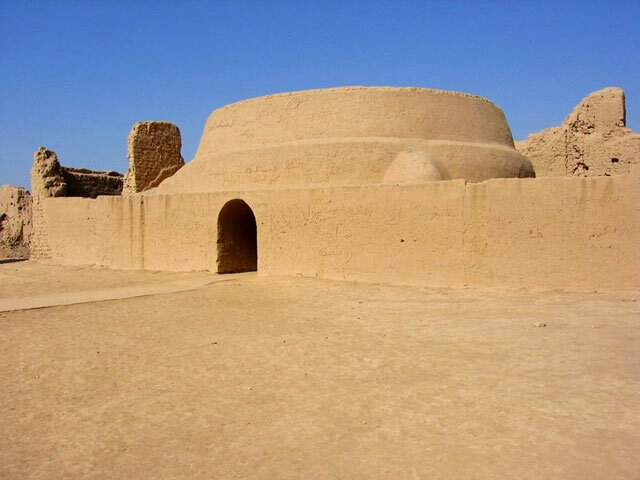 Gaochang was built in the 1st century BC, it was an important site along the Silk Road. 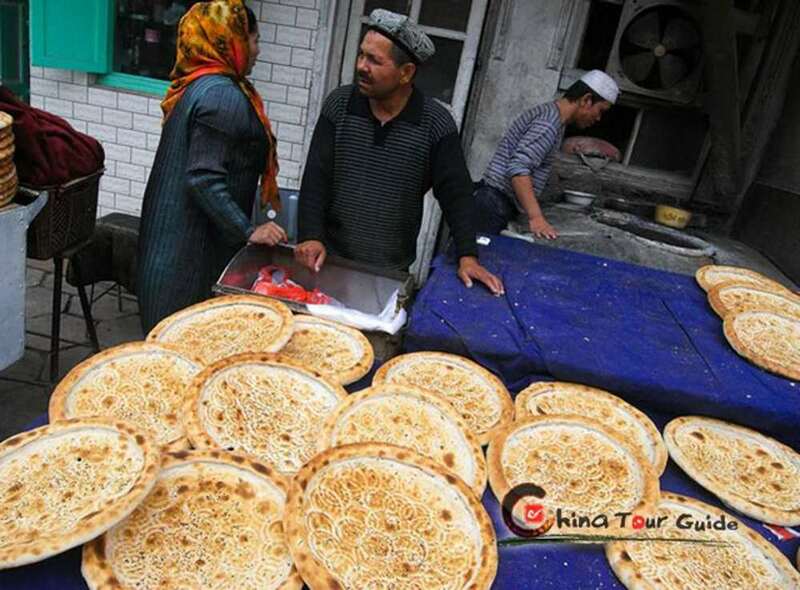 It played a key role as a transportation hub in western China. There is some documented history surviving today, perhaps stories passed on through oral tradition exist to detail the history. It was burnt down in wars in the 14th century. Old palace ruins and inside and outside cities can still be seen today. 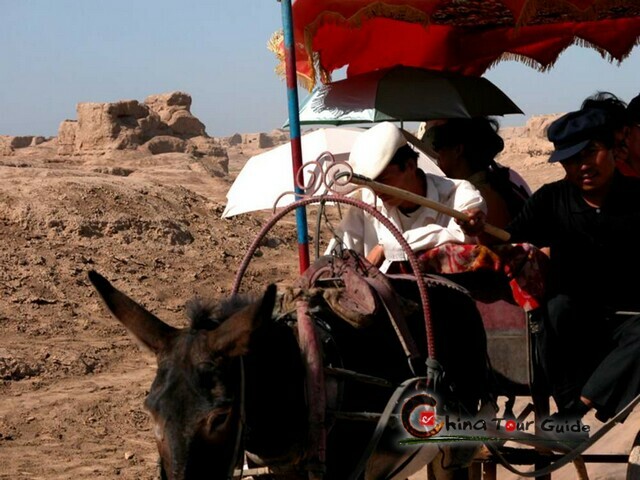 Donkey cart Gaochang Ancient Ruins. Ancient ruins in Gaochang. The ruins are made up of an outer wall, an inner wall and palace walls. With a 12-meter (39-feet) thick base, the outer wall is 11.5 meters (37.7 feet) tall and 5.4 kilometers (3.4 miles) in circumference. The layout is similar to that of Chang'an City in the Tang Dynasty (618-907). The outer city with a perimeter of 5.4 kilometers (3.4 miles), is enclosed by a city wall of 12 meters (39 feet) thick and 11.5 meters (37.7 feet) high, and built with tamped earth. Nine city gates are located in the four cardinal points: three in the South, and two in each of the other directions. The gates in the west are the best preserved. In the southwestern and southeastern parts of the outer city stand two temples ruins. The temple in the southwestern corner consists of a gate, a courtyard, a sermon hall, a sutra depository and monks' abodes. The southeastern temple consists of a polygonal tower and a worship grotto, where splendid murals remain well preserved. Overview of the scattering ruins. Exterior of ancient storage house. The inner city, situated right in the middle of the outer city, has a perimeter of 3 kilometers (2 miles). The western and southern parts of the city walls are well preserved. The eastern and southern parts were badly damaged, only with the northeastern highlands and the southeastern earthen platforms are still visible. No trace of the inner city's gates remain. The Palace City is located in the north of the inner city, sharing its southern wall with the inner city and northern wall with the outer city. It is a rectangle with a perimeter of 700 meters (2,296 feet). Within the city, many large cornerstones remains are still visible, with an average height of 3.5 meters (11.5 feet) to 4 meters (13 feet). These cornerstones are relics of a 4-storied palace. 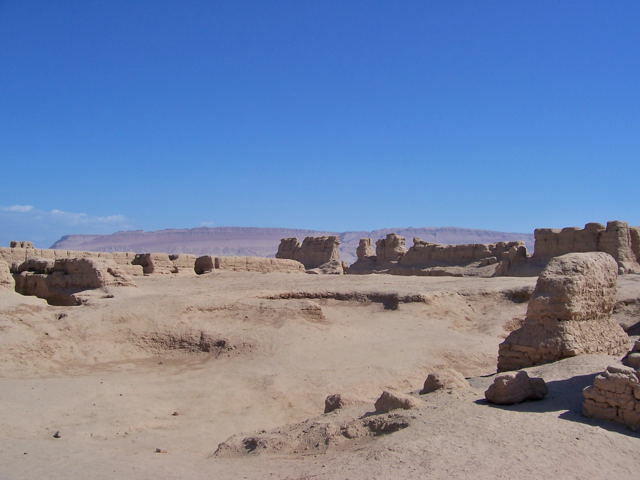 An irregular adobe square standing in a high earthen platform is called "Khan's Castle", which was the imperial residence. 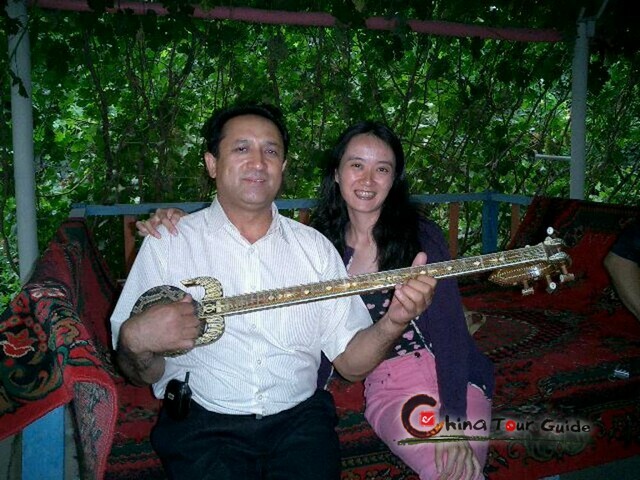 As one of the key points along the Silk Road, the ancient city of Gaochang was also a sanctuary of world religious culture. Xuanzhuang, a well-known Buddhist monk in the Tang Dynasty stopped here and delivered lectures on his way to India. Today, the remains standing here remind us of the grandeur and prosperity of the ancient city.